Park Street House was a late eighteenth century house, the home of Thomas Fooks and his son William Fooks, glove manufacturers. As seen on the map below the house was set in extensive grounds and had a glove factory all but attached in South Street while the house and grounds occupied the whole of the eastern corner at the junction of South Street and Park Street. The 1846 Tithe Apportionment noted that 'House, Garden & Orchard' (Parcel 478) was owned and occupied by Thomas Fooks. The Apportionment measured the parcel as 2a 0r 20p (for details on historic land measurement - ie acres, roods and perches - click here). William Fooks moved into Park Street House during the 1860s but died in 1871. The house, photographed below, was sold by his widow by auction on 24 February 1882 at the Three Choughs Hotel and the pre-auction details, below, give a good description of the property which included the freehold residence, orchard, land, cottage, factory, and other premises. "Lot 1 - An excellent Family Residence, now in the occupation of Mrs Fooks, pleasantly situated near South Street (facing Summerhouse Hill and within two minutes walk of Trinity Church), containing large Entrance Hall, three good Reception Rooms, good Kitchens and other usual Domestic Offices; large and airy underground Cellars; front and back Staircases; five good Bedrooms, Nursery; Servants' Bedrooms, and WC, with an Ornamental Lawn, Shrubbery, two large Gardens, well-stocked with fruit trees; Gardener's Cottage; detached Stables and Coach-house; and other convenient Out-buildings; and a productive Orchard, adjoining the lawn. 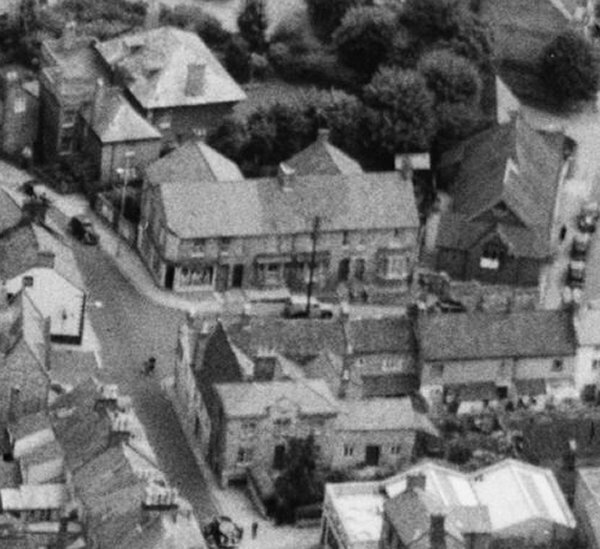 Also a Glove Factory (which may be converted into dwellings), adjoining the said Gardener's Cottage, and now in the occupation of Mr Jno G Raymond. The whole lying in a ring fence, and containing by admeasurement 1a 2r 33p, more or less. Lot 2 - a piece of orchard land, containing by admeasurement 2r 37p (more or less), adjoining Lot 1 and Mill Lane, offering eligible sites for buildings. The above properties are in thorough repair, and well-supplied with water, and gas is laid on in the house and factory." The property was purchased by glove manufacturers Ewans & Gould who were listed in Kelly's trade directories between 1889 and 1894. The factory, in South Street, was a three-storey, seven-bay building and is photographed below. 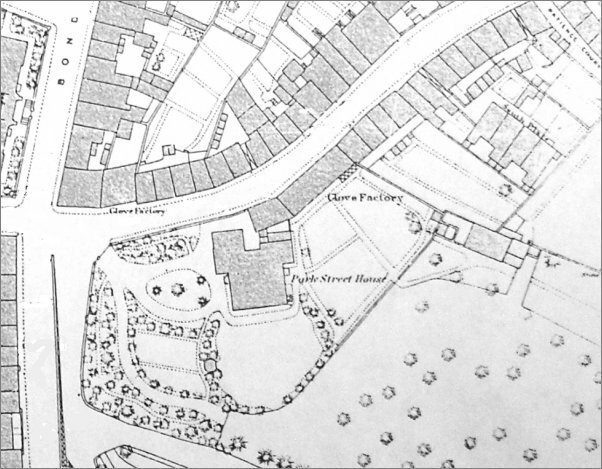 As seen on the map below the glove factory appears to have been almost integral with Park Street House. Ewans & Gould was a relatively short-lived company and the property was sold again within a few years. It became the home of Ebenezer Pittard who renamed it Woodlands. In the 1901 census he gave his occupation as 'leather glove manufacturer' even though his main trade had been more closely connected to leather dressing. It may be that Pittard simply owned the factory property or possibly used it himself after their departure. This map, based on the 1886 Ordnance Survey, shows South Street running across the top of the map from its junction with Bond Street and Park Street / Addlewell Lane at left. Ewans & Gould's factory is shown at centre. The glove factory shown close to Bond Street was that of Clothier, Hitchcock & Giles. Park Street House, at centre, was the home of glove manufacturer Ebenezer Pittard in the late 1890s. 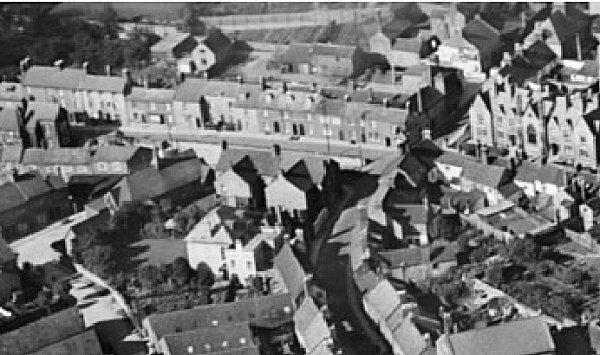 This 1920s aerial photograph shows South Street curving up from centre bottom to top right with Park Street and Bond Street running across the photograph with Woborn Almshouse at top right. 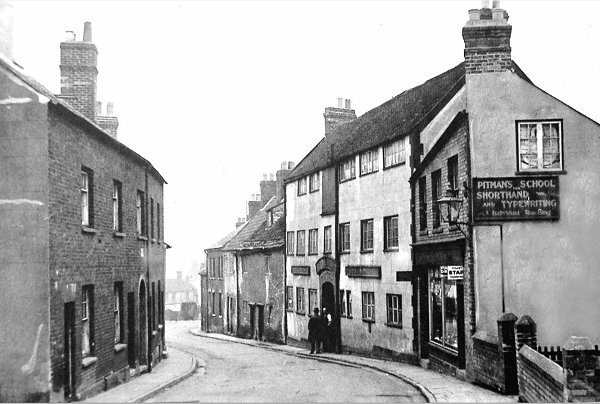 The Globe Inn is on the top corner of Park Street and South Street with a pair of cottages behind it in South Street and then Thomas Fooks' house with possibly his glove factory at top centre. On the opposite corner of Park Street from the Globe Inn is the short Harfield Terrace (with twin gables at rear) and the shop - later Samuel McCreery's junk shop, now a hairdresser - built in the garden of William Fooks' Park Street House, which is the large white building just left of centre. 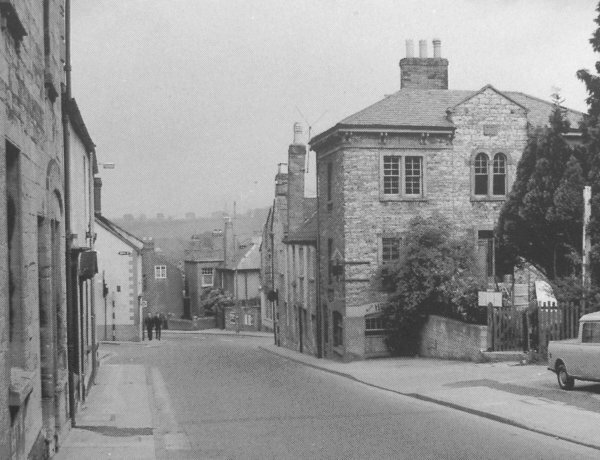 This 1960s photograph shows Thomas Fooks' house at right in its South Street setting. The white building at left with two people outside is on the corner of Bond Street while opposite is just seen the junction with Park Street. The house seen on the corner of South Street and Park Street was Park Street House. 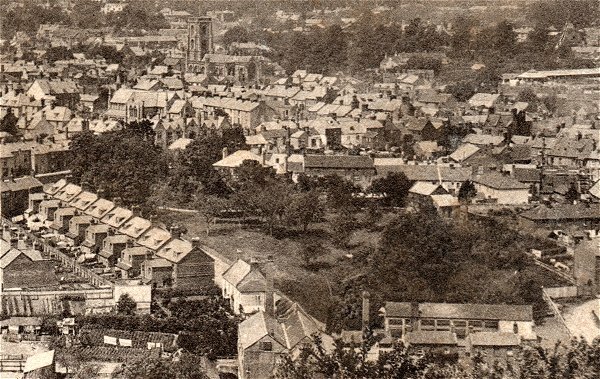 This photograph of South Street dates to about 1920. The three-storey white building at centre was William Fooks' glove factory while the garden wall at extreme right was the South Street entrance to Park Street House. It later became a box-making factory and, later still, the site was cleared and it was occupied by the Somerset & Dorset Box Co Ltd. The site is now the car park behind the old Gaumont cinema. The building at right with a shop-front and the Pitman's School sign was originally the Park Street House gardener's cottage. 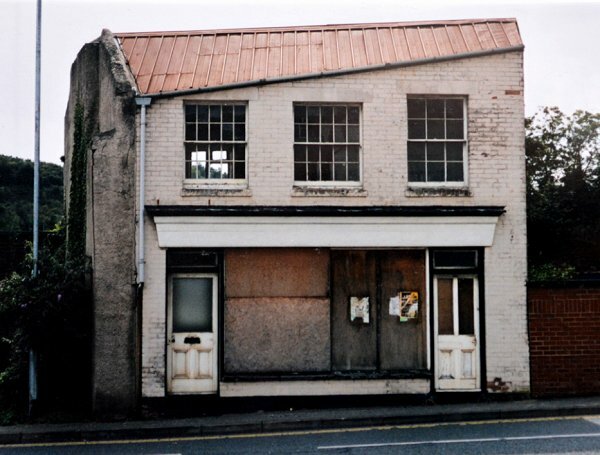 The Park Street House gardener's cottage, later the Pitman's School of the previous photograph, survived the demolition of the adjoining glove factory and hung on until its demolition in 2001 - just after this photograph was taken. Latterly it was a hairdresser's salon.